We have to hope that this isn't the first time you're hearing about Cut The Rope. The subtly addictive physics puzzler has been around on iOS for a while, and did make its debut on Android last week. The trouble was that the game was only available on GetJar, the alternate repository for free Android apps, and some of you out there may not be able to sideload apps (AT&T users), so that wasn't really an option for getting the game. 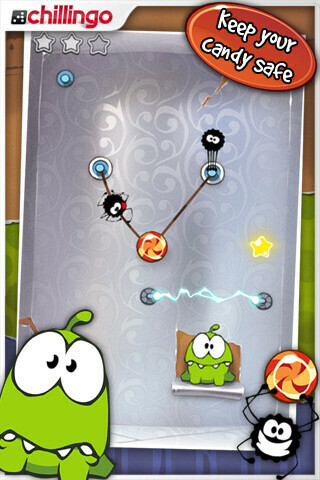 Now, Cut The Rope is finally available on the Android Market. This is the same game that you'll find on GetJar, with all 175 levels and the almost annoyingly cute main character, Om Nom. The only difference is that the version in the Android Market is 99 cents and is ad-free, while the GetJar version is free, but has ads. So, if the Android Market is your only way to get the game, it would seem the choice has been made for you (because this is a great game, and 99 cents is pretty reasonable.) But, if you want to try the game before you buy, you can still get the free version from GetJar, or borrow your friend's iPhone, because we're pretty sure they'll have it.